EjFord, Goats_Hogs and edwardaneal like this. SLING-A—RAMA are Vendor 2/3 days vendor shows in some major American cities promoted by Slingshotroadsters. We have contracted great discounted rates in hotels where the events will be held. Vendors will be setup in the parking lot where great deals and installs will take place. Registration is $20.00 pp which includes a free teeshirt.All profits from the registration fees will go to our charity The Pediatric Brain Tumor Foundation. I'm guessing it will depend on where the show is for what vendors are coming. Will you be able to keep us informed when you know for sure who will be at which one? Slingshot Only will be the main vender at all of these events. Slingshot Roadsters and Slingshot Only owned by the same people.... I sure that at most locations there will be other vender invited. Safe bet that anyone in direct competition with SlingshotOnly will not be permitted to vend. Just guessing. You are totally incorrect in your remarks. You seem to have a lot of unfounded opinions when it comes down to our events. Slingshot Roadsters is owned by Composite Exchange a company owned By Scott MacIndoe who also owns Slingshot Only.Each Company is run seperately. 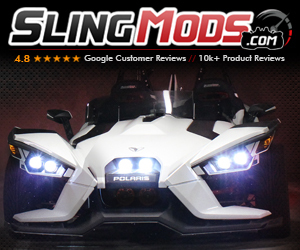 Slingshot Roadsters was sold by myself to Scott MacIndoe with the agreement I stay on and I run Slingshot Roadsters. 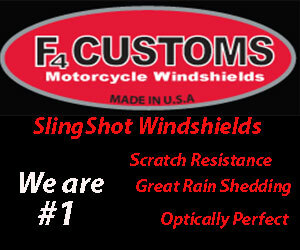 Our policy for both Roadsters and Sling-A-Rama shows is ANY LEGITIMATE SLINGSHOT VENDOR who wants to participate in any event we do is more than welcome to participate in one or all of our events. Slingmods a direct competitor of Slingshot Only are always invited to any event we do.They have shown at a few and when they are not there it is their decision.I would dearly love them to attend every event. We have made Sling-A-Rama vendor events very low cost for the vendor.We would encourage all who wish to show signup. I've deleted all of my posts on this thread. I did not realize that this was in a vendor section, instead of the general public section. Not appropriate for my rant here, however justified I may feel. Thank you for the information. I haven’t been here a year yet so some of this is still new to me. Slingshots in the Smokies 2017.May30th-Jun 4th.